6. Shoulder straps for inflatable stand up paddle board transport. 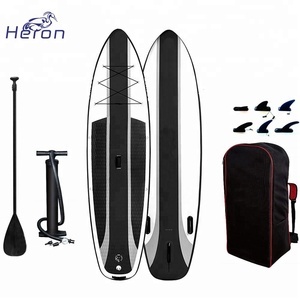 2. send us the inflatable stand up paddle board design in AI format. 5. let's start cooperation of inflatable stand up paddle boards. Ltd is a professional manufacturer of the inflatable products for more than 5 years. If you need inflatable sup, inflatabel gym mat, inflatable airtrack, inflatable yoga mat, inflatable water mat or inflatable pontoon, you've found the professional manufacturer. If you have your own idea, tell us and we can help you to make it true. Hypalon China Rib Boat According to customer equipments design, we promise to provide the most realiable products and the most perfect equipment. And c ompany purpose is " to customers first , integrity - based " in order to quality products and services create value for customers . Q: How long is your delivery time 9 A: Generally it is 3-7 days if the goods are in stock. 3. Durable, attractive, safe, waterproof and environment concerned. 4. All our products will be inspected before shipment. Delivery Detail: 7-20 days after receiving the first payment according to order quantity. You can call, email your question to us and we will do our best to respond in a timely matter. We want to make sure you are happy with your stand up paddle boards and continue to be a loyal customer for years to come. Contact us Please don't hesitate to contact with me once you have any inquiry on our product. All the time we continue to expand our product line, to meet the different customer needs all around the world. However, there are slight variations between inflatable SUPs depending on how they are used. Surfing SUP boards, on the other hand, tend to be narrower to help them glide over the waves smoothly. 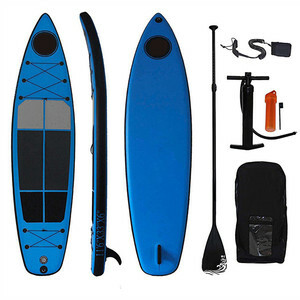 Alibaba.com offers 860 standup paddle board products. About 95% of these are surfing, 1% are water play equipment, and 1% are inflatable bouncer. A wide variety of standup paddle board options are available to you, such as free samples, paid samples. There are 857 standup paddle board suppliers, mainly located in Asia. The top supplying countries are China (Mainland), Slovenia, and South Korea, which supply 98%, 1%, and 1% of standup paddle board respectively. Standup paddle board products are most popular in North America, Western Europe, and Oceania. You can ensure product safety by selecting from certified suppliers, including 21 with Other, 17 with ISO9001, and 6 with ISO14001 certification.